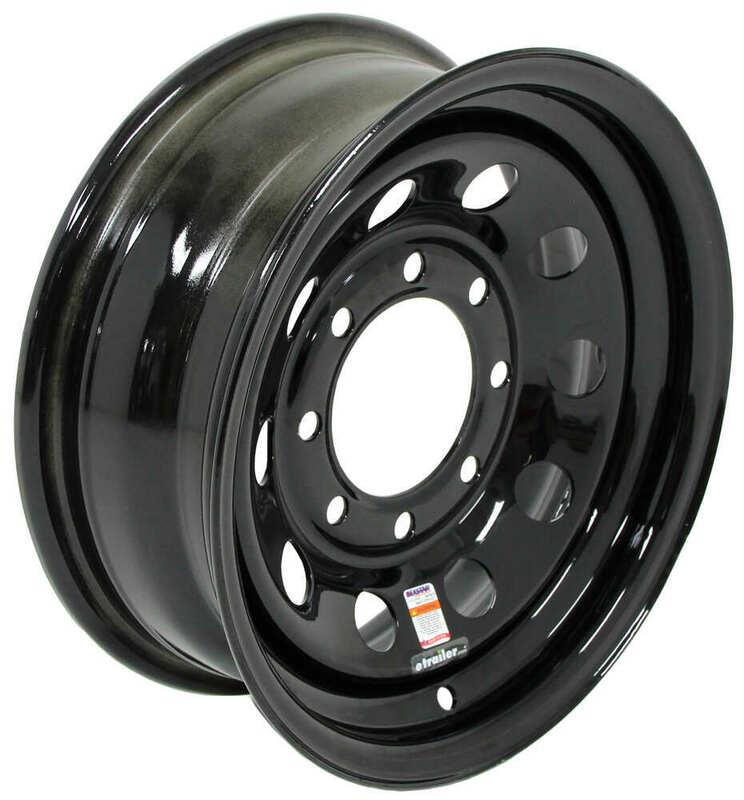 This 16" x 6" steel trailer wheel has a 8 on 6-1/2 bolt pattern and a 4.9" pilot diameter. 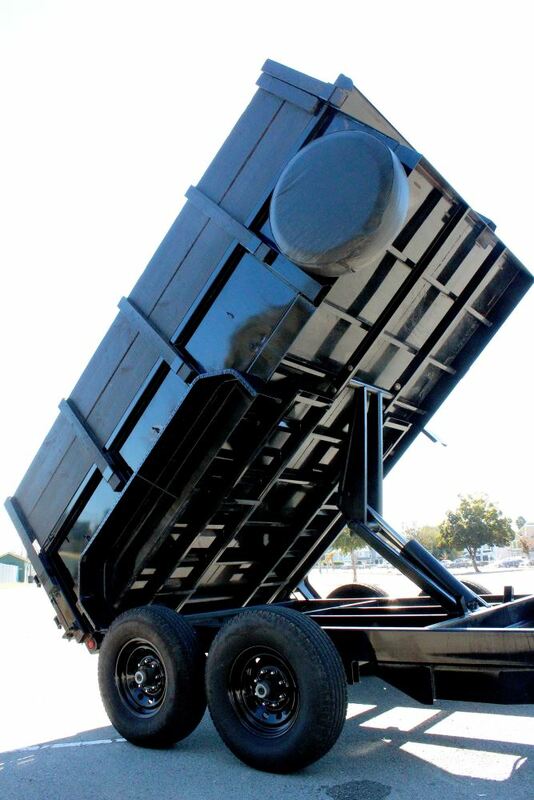 Rust resistant black powder coat finish. Lowest Prices for the best tires and wheels from Dexstar. 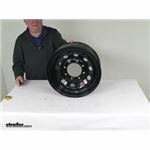 Dexstar Steel Mini Mod Trailer Wheel - 16" x 6" Rim - 8 on 6-1/2 - Black part number AM20761B can be ordered online at etrailer.com or call 800-298-8924 for expert service. 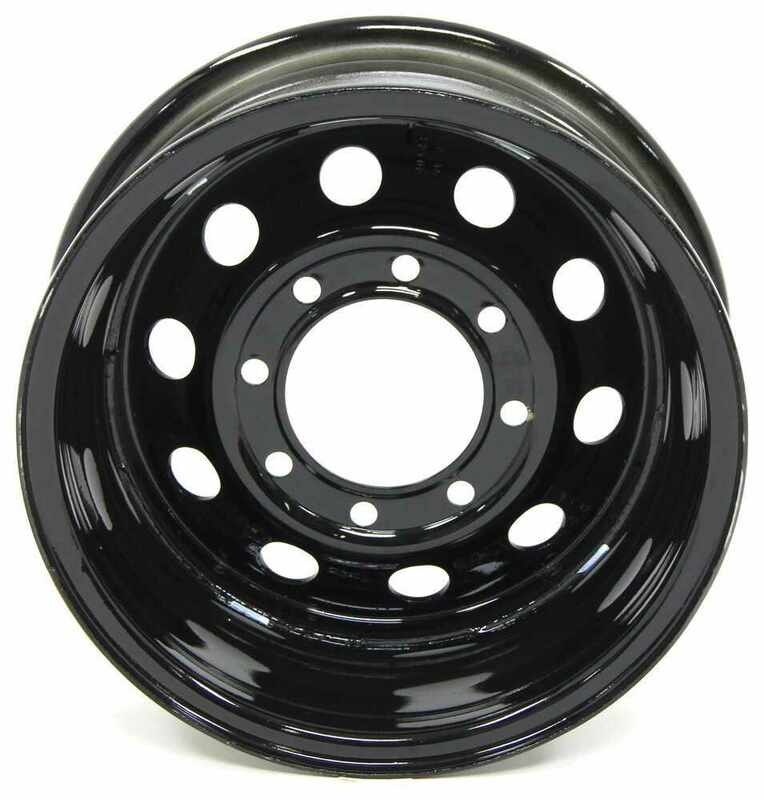 This 16" x 6" steel trailer wheel has an 8 on 6-1/2 bolt pattern and a 5.12" pilot diameter. Improved torque retention keeps wheel secure when mounted on your axle. 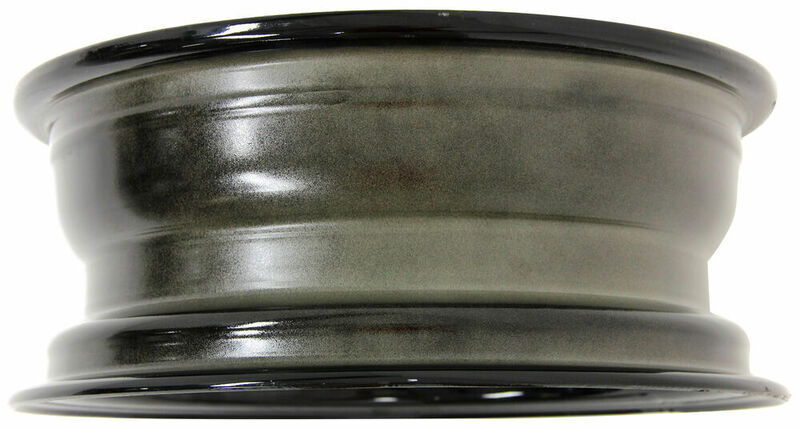 Rust-resistant, 3-step powder coat finish. Valve stem is included. 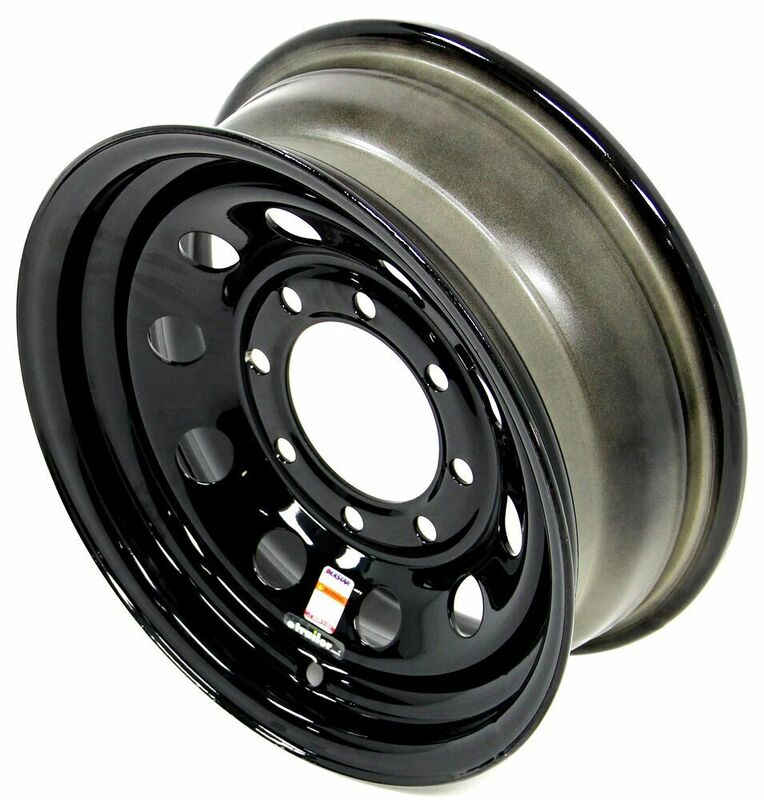 Gray powder coated, 17-1/2", hub-piloted steel trailer wheel features an 8 on 6-1/2 bolt pattern and meets Department of Transportation standards. Order: RelevanceNewestRating - High to LowRating - Low to High This 16" x 6" steel trailer wheel has a 8 on 6-1/2 bolt pattern and a 4.9" pilot diameter. 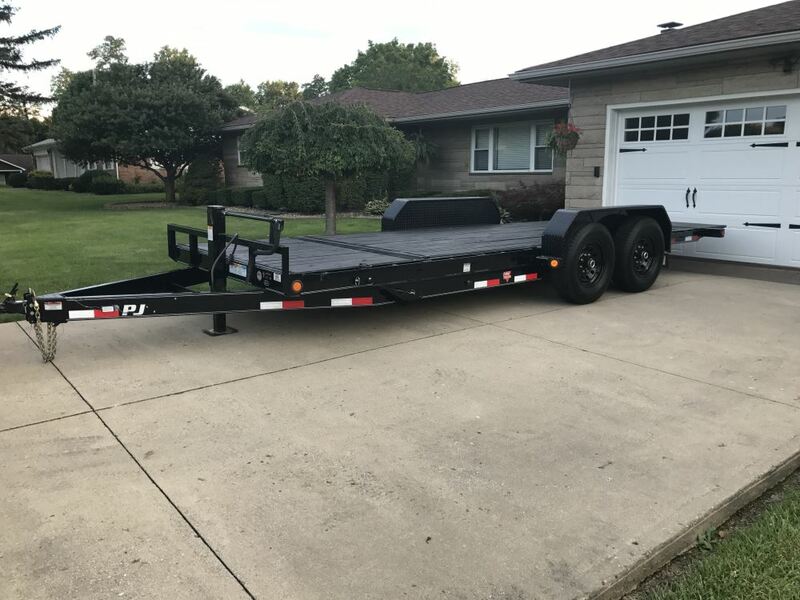 Rust resistant black powder coat finish. 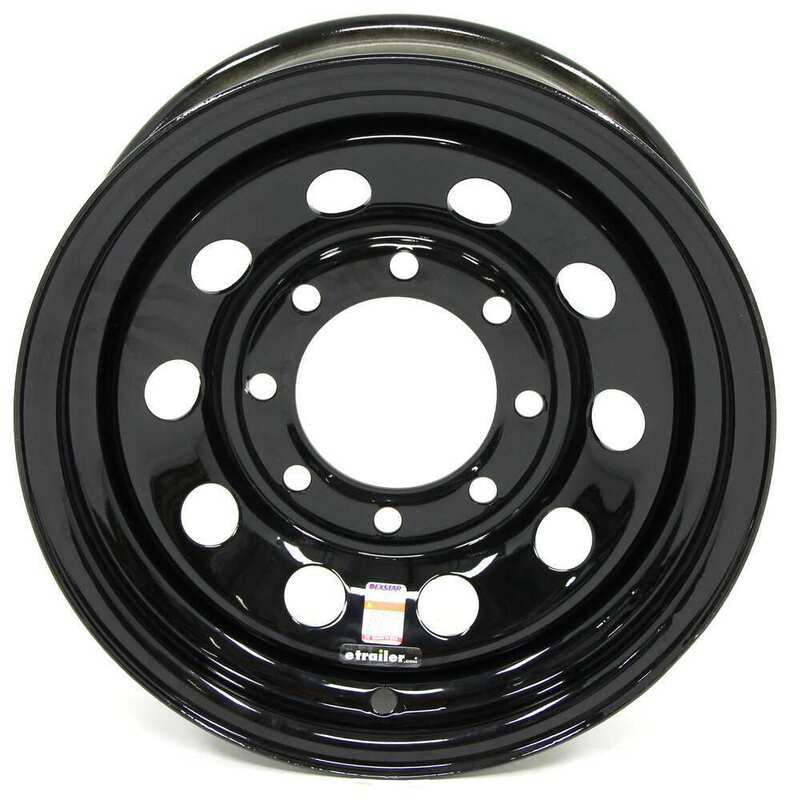 What Size Does The Pilot Hole Have to Be On 16x6 inch wheels with 8 by 6-1/2 Inch Bolt Pattern? The Dexstar wheel, part # AM20761B, has a maximum capacity of 3,750 pounds. I've linked a video that displays additional specs for you as well. The Dexstar Steel Mini Mod Trailer Wheel, part # AM20761B has a zero offset. The wheel has a 110 psi rating and a capacity of 3750-lbs. The wheel in tire and wheel combo # AM32743B is wheel # AM20761B which has a zero offset. This means the mounting surface of the wheel is in the dead center of the wheel. The wheel and tire combo is compatible with hub and drum assembly # 42866UC3-EZ.